Yemenis want to be heard. They need to be heard. Thus I have asked Yemeni friends of mine, men and women, to tell their stories, to give a personal account of their experiences of the war in Yemen and to send me pictures that illustrate their texts. I will post them here on this website, one by one. I hope their writing will have an impact. 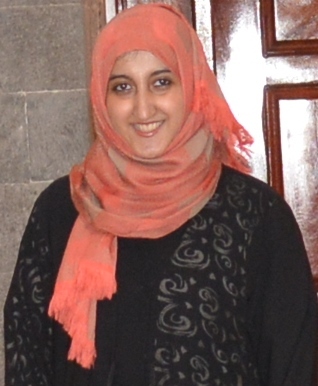 Layla M. Asda (26) is doing her Master in International Development and Gender at the university of Sana’a. She is ready to take her country forward. But she is stranded in the war. As million of other young Yemenis. In her text she gives a painfully detailed account of how the war affects her and her country. And she appeals to the war faring fractions to realise that there is no point of waging wars. It only creates destruction, hatred and the urge for revenge. “It’s raining!” I felt happy because “rain is what I adore”, I thought to myself as I heard the sounds of thunder. Yes, it turned out to be rain – but a different kind of rain: It was raining missiles! My dear country is under attack. It’s war and it has opened the doors wide open to misery for us. My country has made it into the news which is not promising or cheerful at all, as it’s not because of news of discovery or invention but news of destruction and suffering. It feels devastating to see it in the news and all we see is wrecks and death. We usually see and read news about wars in other places, but just to hear or read about it is one thing, to live it is a completely different story. The air vanishes and we can listen to our hearts beating heavily as the bombardment begins, and we wonder whether it’s our turn coming up to join the victims under the ruins. The air disappears at the very thought of it. The kids shiver with great fear telling us that they don’t want to die. My little brother Anas (7) tells me that he doesn’t want to sleep because he is terrified of the sounds of bombs. Once he asked me bitterly why his childhood was filled with war. Innocently he explained to me that his childhood is supposed to be abbot playing not fear: “I want to play with joy, not with fear!”, he said. War is killing every beautiful thing inside us and inside our country. It is heartbreaking to lose that feeling of safety, to be in constant worry about your loved ones, to live endless terror unable to even have the slightest mean of life. Life has become a bleak vision for us, something we fantasise about. And that is how it’s like to be in a war. Unfortunately, our house is located close to a missile base (the Faj Attan area) which has been targeted the most. Hell is what we have seen: During one of the airstrikes a smell of gas covered the whole area and almost suffocated us. It was dreadful, death was hovering over our heads. When the big bomb hit we were at home, a horrifying sound shock the house followed by the sounds of glass breaking everywhere. The pressure pushed me over the broken glass. I didn’t know where my mother was. I started screaming for her to run away with me but no answer came. The thought struck me for a moment, I became paralysed with horrible fear. What if my mother is hurt, God forbid? After moments of terror that felt like ages, I heard her sobbing cries in the other room. I then knew that she was sound. It was the happiest moment in my life. 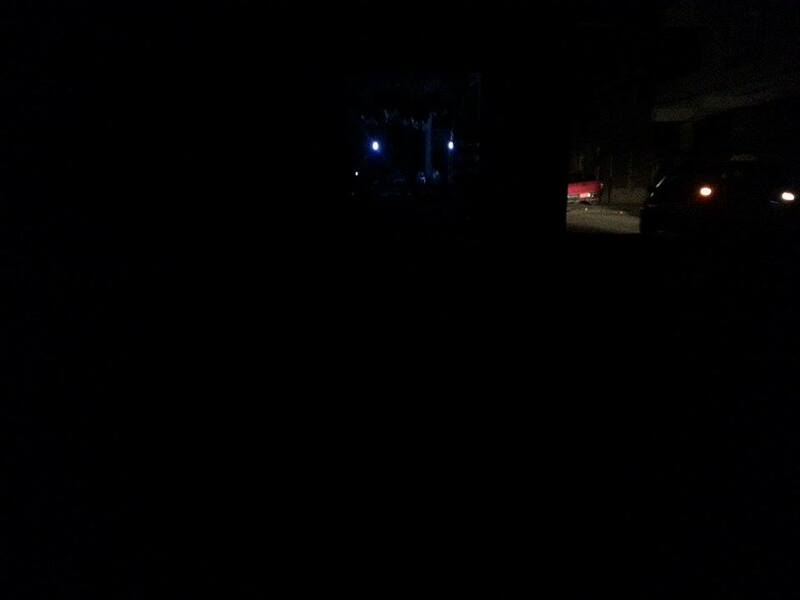 Then we had to flee our house. It has been 83 days since we left our home. I miss my home, every single corner of it. Unluckily, there is no safe place anywhere We moved to our grandparents’ house, which is also located close to many of the target places. When they hit the former President’s House, we ran away to the room we thought might be safe. Then another missile hit and we again ran away to another room. And we kept going like this until we almost ran outside into the yard which is also very dangerous. But we did it impulsively, it was a moment your mind stops thinking and only aims at running away even though nowhere is safe. Other places were targeted in one day, a day of terror. I was asleep when suddenly a huge explosion hit very close to us. I jumped out of my bed, rushed out of the room but I saw nothing, it was completely dark though it was morning. I couldn’t breathe and my legs couldn’t carry me anymore and I fell down, then I fainted. Sometimes we try to forget that we are living in a war and act normally. We try to summon beautiful moments of our previous life before the war and a wave of nostalgia overwhelms us with melancholy about our life. We recall funny situations to grasp a laugh, but behind every laugh there is a feeling of bitterness and our hearts ache with pain tearing us down with despair. That war has stolen our life. Thousands have been killed, they are just numbers in the news you read. But they are souls to those who lost their loved ones. Numerous people have lost their jobs and I’m one of those. Prices have doubled and lots of people can’t feed their children any longer. This gives the alert that famine is knocking at the door if hasn’t already entered without asking. According to the UN report, almost 20 million people (80% of the population) are facing starvation. The blockade imposed on us is killing us. Almost all basic needs are gone: There is no electricity, no water, no gas, no petrol, no diesel, not to mention the spread of diseases. Food, medicine and medical supplies are starting to vanish from the market and it will only be a matter of weeks till everything is gone. There are thousands of internally displaced persons, aid is restricted, though there are local initiatives and foundations to provide help. But the need is too high to meet. Other governorates are far much worse off than we could ever imagine. 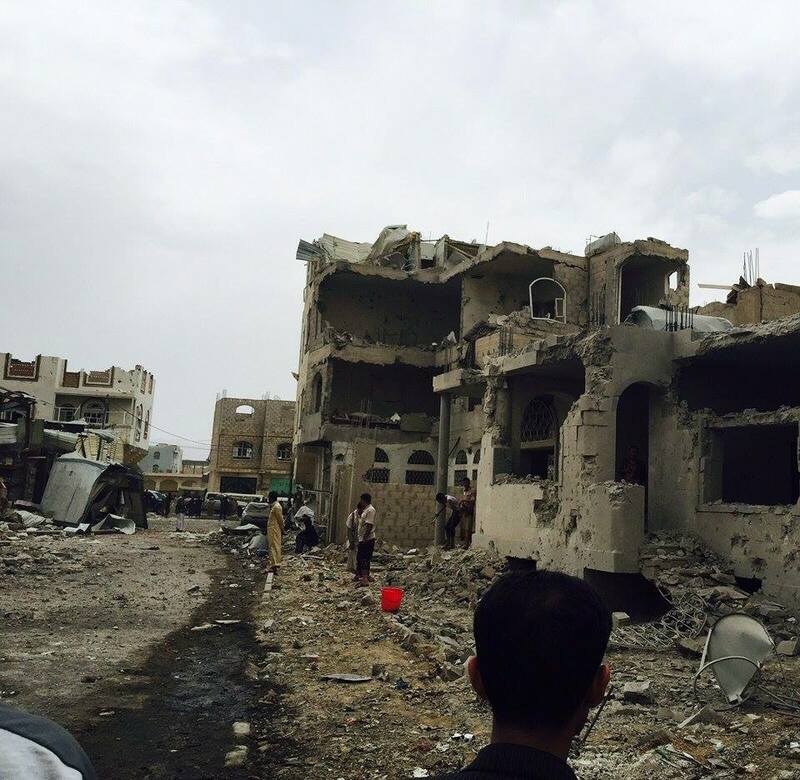 In Sa’ada, Aden and Taiz, for instance, the situation is catastrophic especially because of the internal conflict. It is horrifying as no aid is even able to reach these places. Hospitals have called for relief because they are out of medical supplies. Dead bodies are everywhere. Thousands, who were lucky enough to be able to leave, fled their houses. Death in my country has many forms: those who don’t die of the Saudi shelling or the internal conflict will die of hunger or epidemic diseases such as dengue fever that has started spread. No words are able to capture the sufferings and pain that Yemenis endure. At the beginning of the war I started to frantically read political analysis trying to figure out how long this cursed war would last, and here we are; we marked over 100 days and yet there is no sign of an end. There are only signs of despair and death that are waving in the horizon. I’m doing my master in international development. I had dreams and many plans for my country. I was eager to participate in the development of my country. But now, I ask myself, how can we think of development when there exists only destruction? It is a nightmare that refuses to end. I wake up every morning just to discover that this nightmare is still haunting me. Every day that passes, I ask myself as well as people around me, when this war will end. I ask people because I wish that they would tell me that it will be soon – even if it is a lie. Then I would live holding onto the lie so tight to my heart with a glimmer of hope that it will become real and war will end and I hope that I witness this moment in my lifetime. I wish that all people who sparked this war realise that there is no point of waging wars. War only generates hatred and revenge and promotes destruction of humans and homes. We curse this war a zillion times because it has stripped us of joy; it took away our souls and deprived us of life. I don’t know how long we’ll continue like this. I’m not sure how long people will be able to bear the burden of this misery. Peace is what we need. Our voices need to reach out. 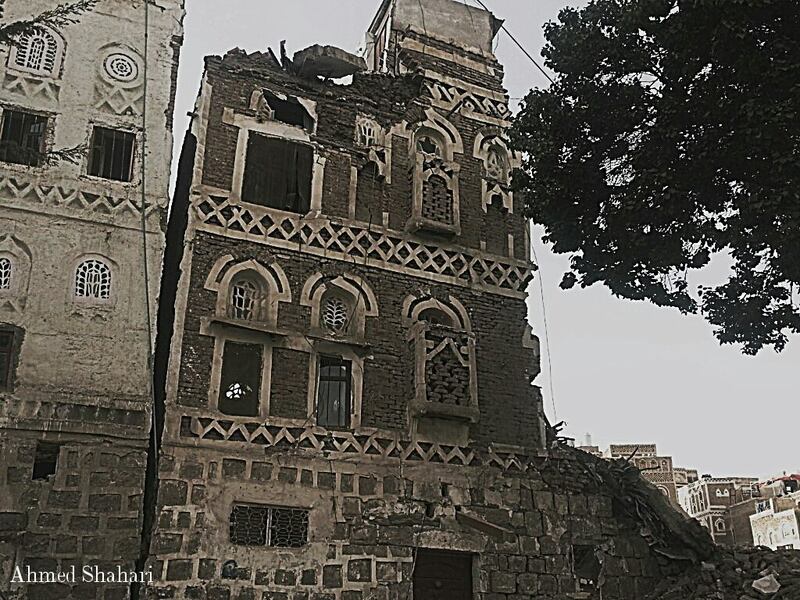 Yemenis want to see their country flourish with development, not with war. War indeed has changed Yemenis, but it taught them how to survive and to never give up their dreams. I want to live safely in my house. I want my hopes and dreams of a better future back, and I want my plans for my country back. We just want to live peacefully. Is this too much to ask? We deserve to live! July 23, 2015 in Yemen.